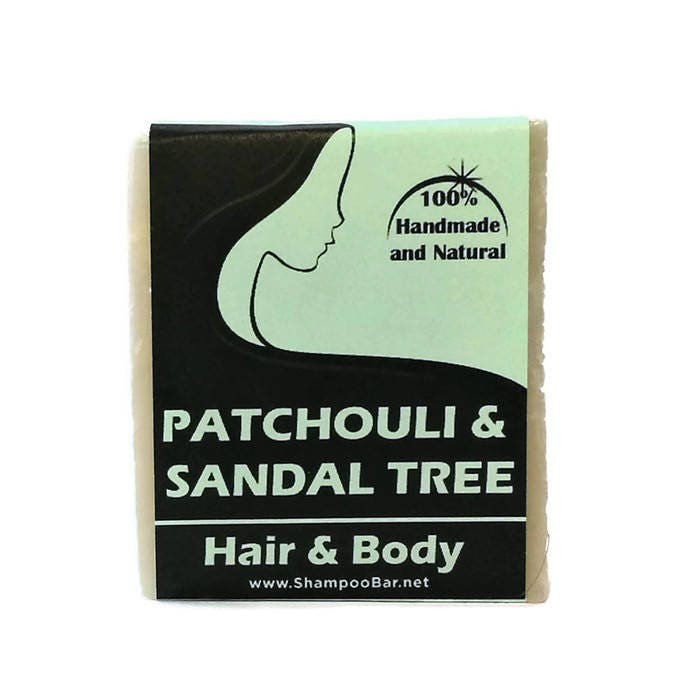 Our patchouli sandal tree shampoo bar has a woody, rich sweet scent that you’ll go wild for. It has the anti-inflammatory, antibacterial and anti-aging properties that you will love and has a relaxing scent that’s great for natural deodorant, so you can use it on your body as well. It will soothe inflammation, stimulate growth of hair and nourish your dry hair and scalp. 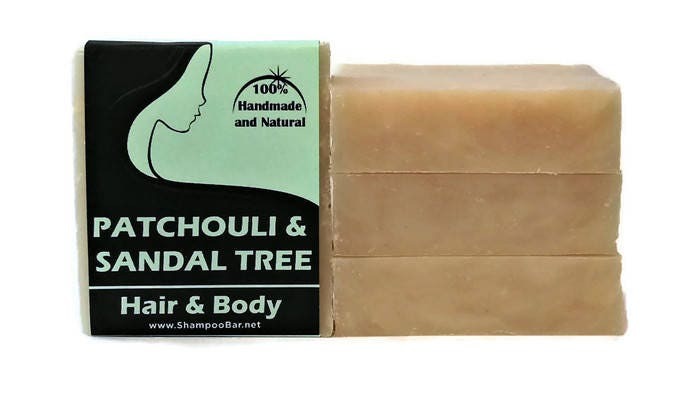 This shampoo is unisex, lightly scented, and excellent for all hair types. Perfect travel size shampoo, it can be used as body wash too, so no worries about liquid restrictions at the airport. 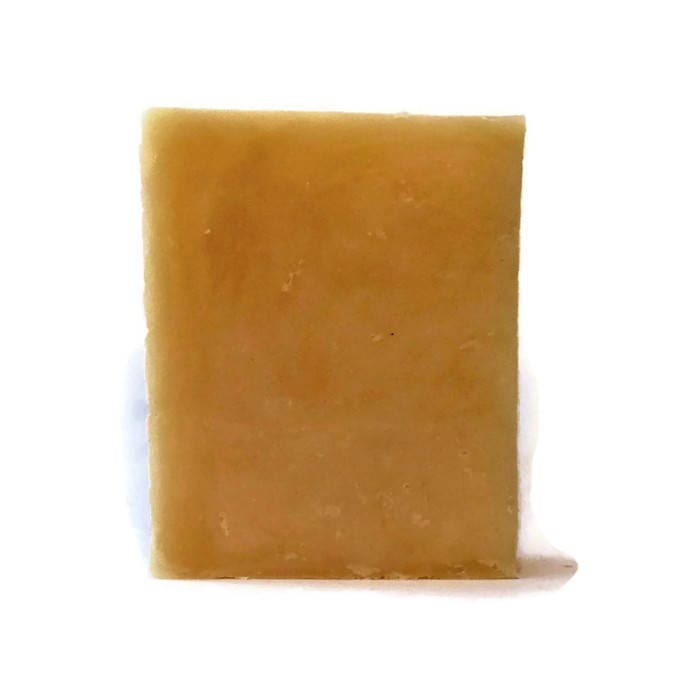 Fun fact: our shampoo bars are also called: hair bar, hair soap, solid shampoo, hard shampoo, lush bar style shampoo, and other similar names. 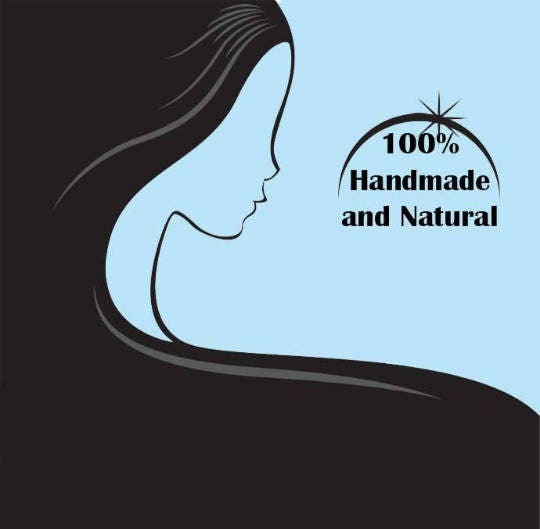 As always our paraben and sulfate free shampoo bars are a healthy alternative to commercially produced beauty products and are made from natural ingredients. Shipping: We strive to process all orders within 1 business day. Continental shipments within the EU usually take about 5 - 7 working days and International shipments may take between 10 – 25 working days it depends on the country’s post office. Upon request we can post the items via recorded mail.